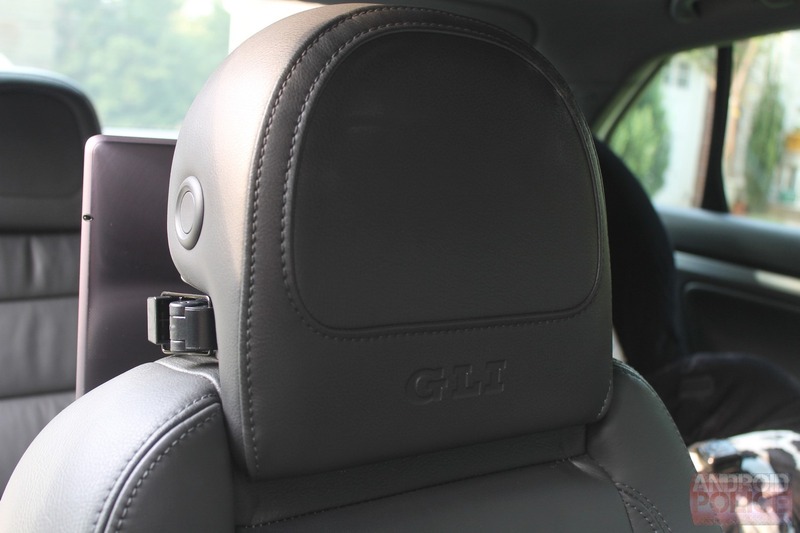 My significant other likes to pretend the next car we buy will have TVs integrated into the headrests to keep our kids occupied on long trips. I can assure you, it will not - after all, that's an option that costs thousands of dollars, and is usually only offered on luxury cars (which we can't afford) and minivans (just no) as it is. But, as it turns out, it's not all that hard to one-up integrated TVs: you can slap on a sleek, adjustable headrest mount. The benefits of using a mount rather than buying integrated are obvious. The first is, of course, cost - most people can't afford to buy a high-end luxury car or topped-out minivan plus the few thousand dollars it costs for the option. Even those who can will likely find outdated systems, and one that's probably not touch-driven and definitely doesn't have the flexibility of Android. In other words: limited capabilities, no touchscreens, and no Play Store. Finally, you're stuck with what whatever mediocre hardware the car manufacturer saw fit to stick in there, unless you were willing to fork over thousands more for a custom system. 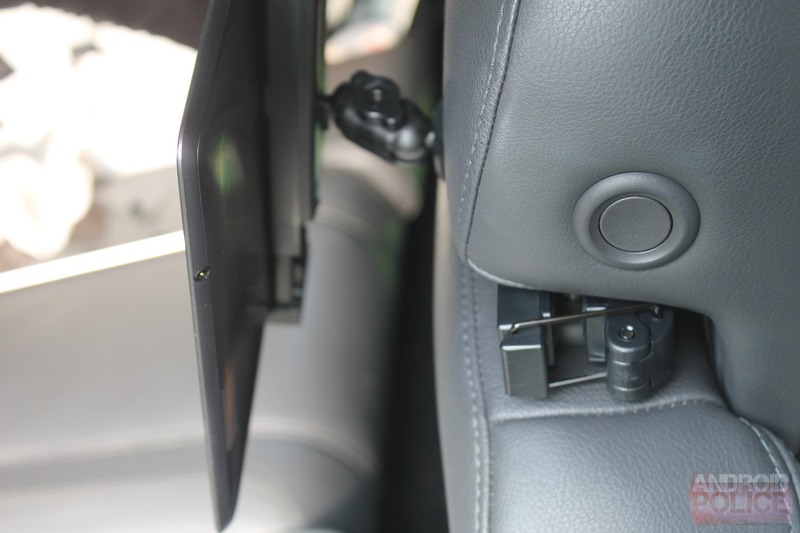 All told, an aftermarket mount is not only much cheaper all 'round, but it's also infinitely more flexible. 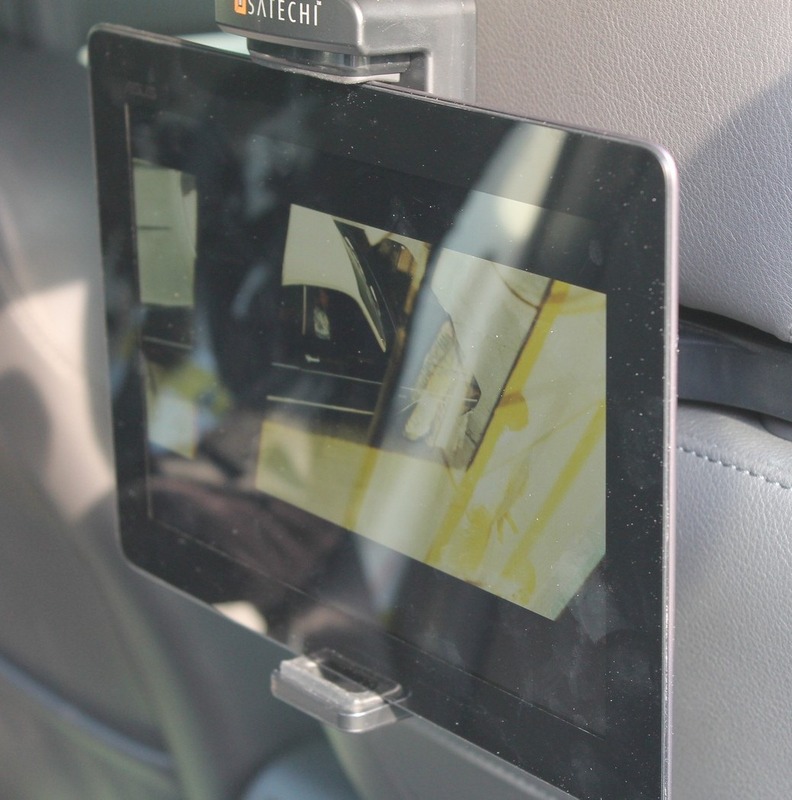 What: A tablet mount that attaches to the headrest in a car. 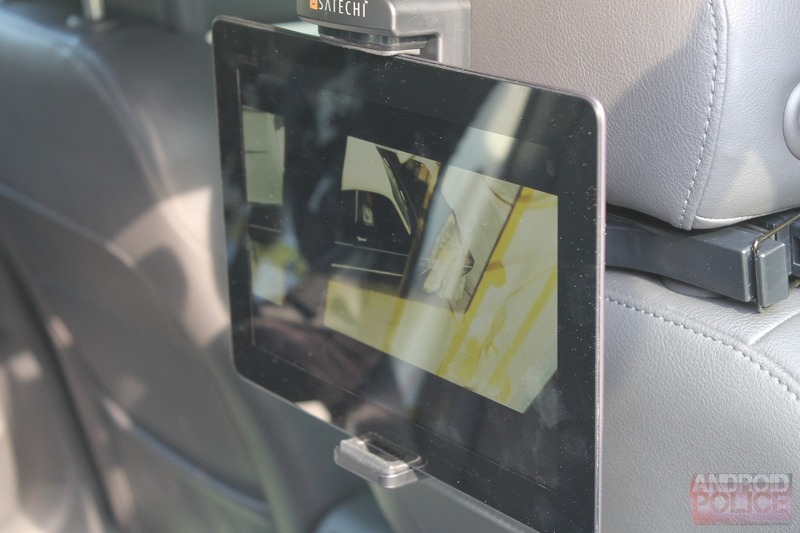 Correction: a quality tablet mount. Who: Parents, mainly. Or anyone else who regularly carts people around. 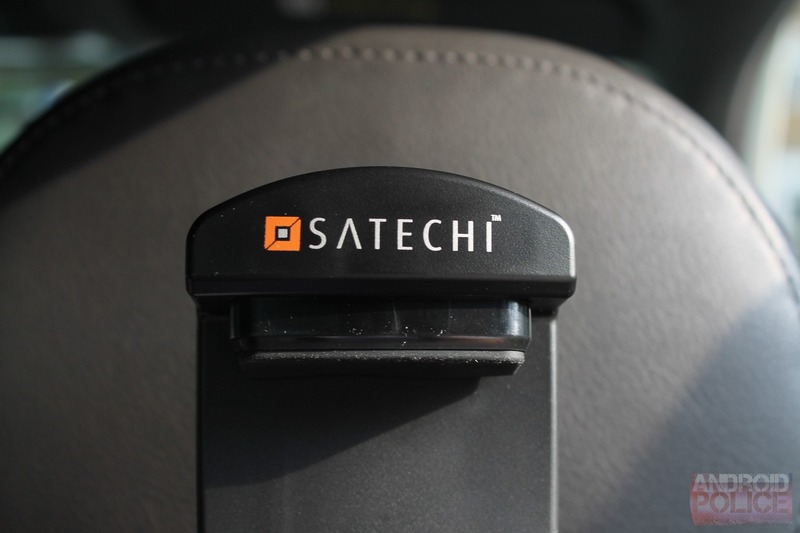 Compatibility: Any tablet between 7" and 10.1"
Unlike cheap holders/mounts, the Satechi is a quality piece with rubber (rather than foam) grommets and the stationary part of the clamp is spring-loaded. 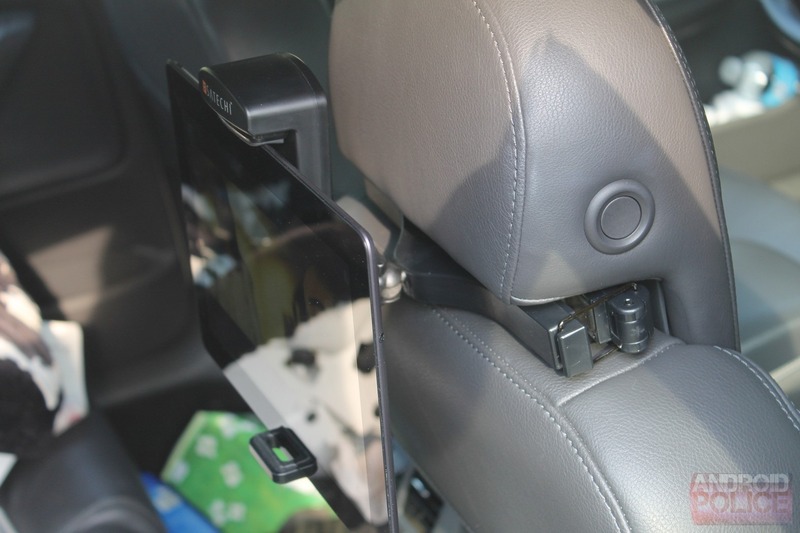 The result: this is probably the snuggest fit you'll find from a tablet mount. It's also quite adjustable, as it has dual ball-and-socket connectors (in addition to the height adjustment), which provides full mobility. Though the apparatus has potential to rattle or bend in numerous places, it doesn't at all. The fit and finish are excellent and there's no rattle to speak of. 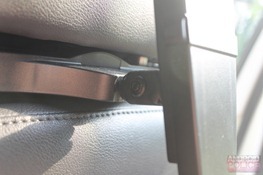 That said, there are two problems that aren't really the fault of the mount: vibration and glare. 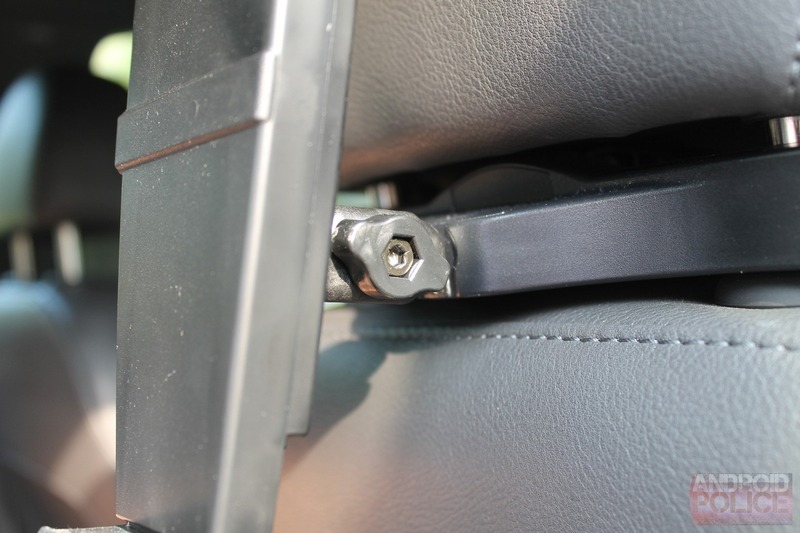 All cars vibrate while driving thanks to the mechanicals of the car and the road itself, and those vibrations travel right through the car, including the tablet. 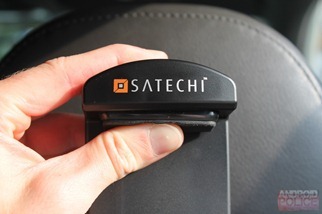 In short, you'll find it vibrates quite a bit while the car is moving. Or while it's not. And even when it's off, any interaction with the tablet triggers some vibrations. 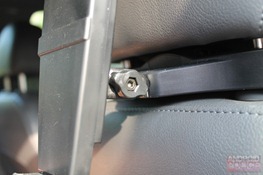 Ultimately, it's not a major issue and it's no different than reading a book in the car. The second concern is glare; the only solution is either to ignore it or to try to block out some light, as it's a problem that comes down to the tablets themselves. Ultimately, it's a brilliant accessory for those who regularly cart others around. 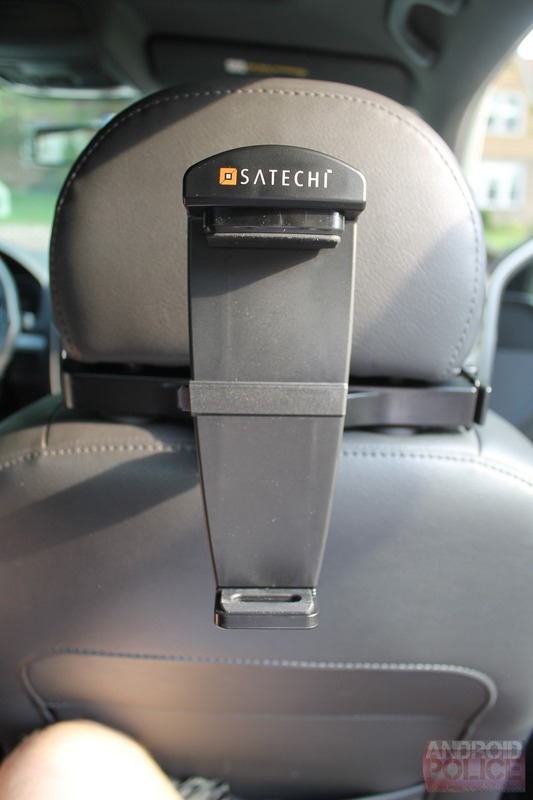 Tablets and Bluetooth headphones have already made family road trips infinitely easier and more enjoyable; the headrest mount kicks things up a serious notch by eliminating hand fatigue and exponentially increasing ease of use. To all the parents out there: what are you waiting for?